Ever since I lived a couple of years in Montpellier I knew about the iconic wines of the region but being a student, I rarely had the opportunity to get a taste. 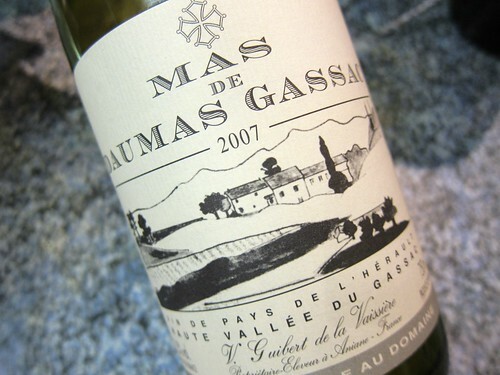 Mas de Daumas Gassac was one of these wines: a legend. Founder and owner Aimé Guibert built up a Grand Cru estate out of the blue – a greenfield project, as the businessman would say. He planted Cabernet vines in 1972 and with the help of some reknown oenologue,s achieved to bottle a convincing wine which the French magazine Gault Millau called ‘a Languedoc Château Lafite’ in 1982. 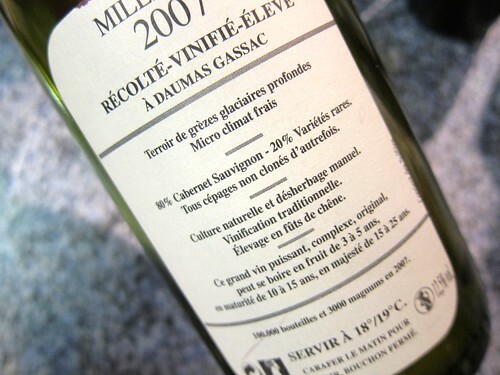 This is not your typical Languedoc wine, but a good example of what can be achieved when you add a twist of Languedoc grape varietals (10%) to the classic Bordeaux varietal Cabernet Sauvignon. On the other hand it unmistakably is a typical Languedoc wine with lots of fruit and herbs, the Cabernet just might be adding that touch of austerity that is lacking in many other Southern wines… Anyhow, I am very impressed and it payed out to finally try this wine. The price of around 30 Euro is not low, but this bottle still beats many Bordeaux’ in the same price range.